At the heart of the matter, I’m self-consumed and worldly, building my own kingdom instead of God’s. When I am about to worship God, I open my phone to see if anyone is worshiping me. Thankfully, this is precisely what God welcomes us to bring before His throne. He relieves our burden of sin because Jesus died and rose to conquer all of our sin. For centuries, He has been faithfully forgiving repentant humans’ idolatry, rebellion, and worldliness. What a wonder! God doesn’t stop at forgiveness; He then helps us move forward in righteousness. He gave the Puritans wisdom regarding their particular temptations, and He gives us wisdom regarding ours. When I asked Him for wisdom regarding social media, I discovered comfort and clarity through Matthew 5:14–16. Through it, the Holy Spirit is teaching me that my involvement in social media is part of my calling to be a light in this dark world. I copied this verse onto a Post-It note and stuck it near my computer. Whenever I am tempted to use social media to feed my sinful desires for self-centered idolatry, I meditate on the verses above and renew my mind with the truth of God’s Word. I am asking God for grace to be a light online. 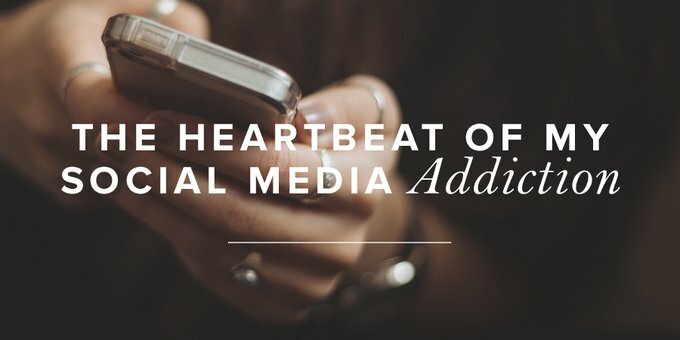 Amazingly, this gives me strength to overcome the temptation to look for meaning in online attention and helps me to focus my worship on the Lord. What is it for you? What’s at the heart of the issue when you indulge in too much social media? Take this to the Lord today in confession. Ask Him to guide you with His Word to use social media in a way that pleases Him. God is faithful to forgive, cleanse, and lead us in righteousness.